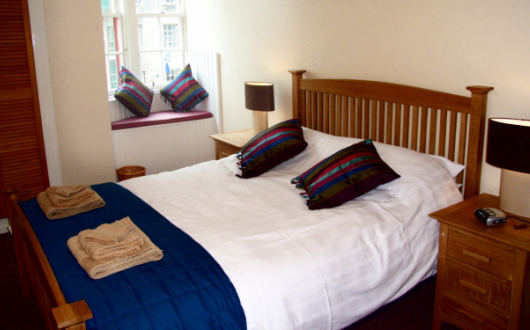 Pillow Stops is a family business offering quality self-catering apartments on Edinburgh's historic Royal Mile. 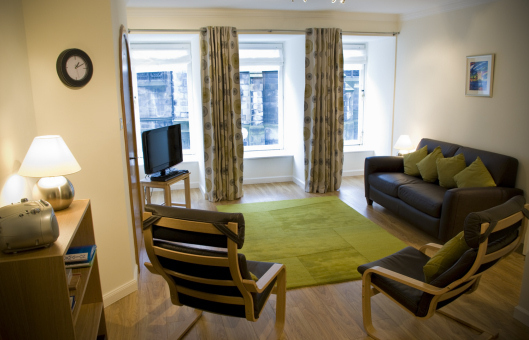 Our self-catering holiday apartments are situated in the Lawnmarket and High Street, two of the most popular sections of the Royal Mile. Our third holiday apartment is just a few steps off the Royal Mile in Advocate's Close. We set our standards on always offering our guests accommodation that we would be delighted to stay in ourselves. Our holiday apartments are situated in historic buildings and offer some interesting and unique features. 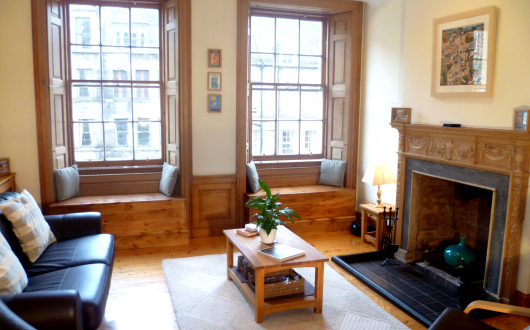 Our holiday apartments have windows overlooking the historic Royal Mile. We cater for both tourist and business travellers and can accommodate stays of two nights or more. We can provide private parking within a five-minute drive of our apartments. Wireless internet broadband is provided. Prices and availability are provided and bookings can be made on-line. Our self-catering holiday apartments are situated in Edinburgh's historic Royal Mile, perfectly positioned to allow you to make the most of your visit to Scotland's capital city. With streets steeped in history and a thriving cultural scene, a holiday in Edinburgh offers the perfect balance between all things traditional and contemporary. Edinburgh offers an abundance of things to see and do, not only within its own confines but also within the easily accessible surrounding areas of Lothian, Fife, Perthshire and Stirlingshire. 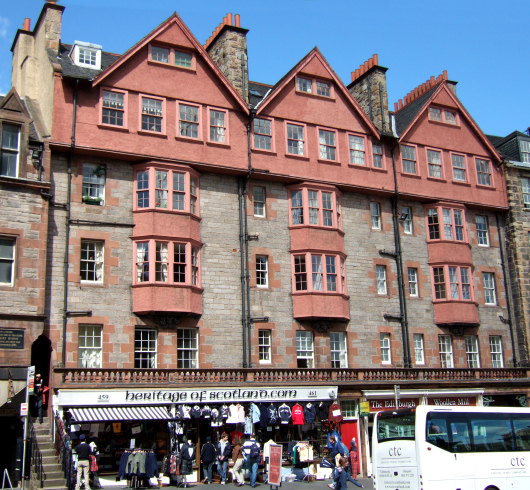 History is impossible to ignore as you walk between the tightly packed buildings and courtyards of Edinburgh Old Town. The Royal Mile forms the spine of the Old Town, running from Edinburgh Castle at the top to the gates of Holyrood Palace, and nowadays the Scottish Parliament, at its foot. Organised walking tours take you to some of the deepest hidden parts of the Old Town, where Edinburgh's gruesome past is brought to life. An open top vintage bus tour will help you see the magic of Edinburgh and all it has to offer. You will find great restaurants, pubs and shops along the bustling Royal Mile, and there are always hidden pleasures to be found as you explore the historic closes and surrounding streets. Edinburgh is sometimes called the City of Festivals. 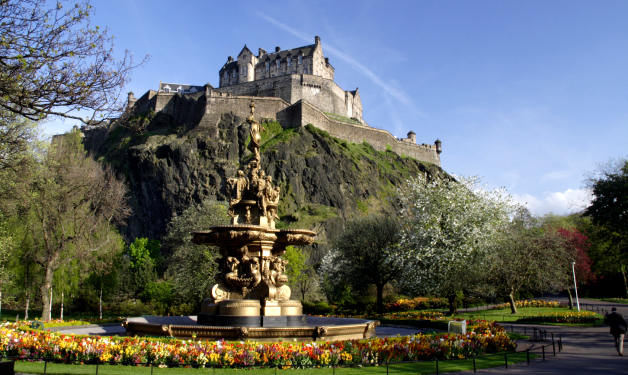 During the summer, it hosts the world famous International Festival and Edinburgh Fringe. Whether you are looking for formal concerts or are happy just watching the Fringe street artists and performers, you will always find something to keep you entertained. In August, the castle, which sits high above the Edinburgh skyline, is brought alive with the pipes and drums of the Edinburgh Military Tattoo. Within a few minutes' walk of the medieval Old Town, the New Town offers a wealth of Georgian architecture and some great shopping opportunities ranging from large department stores to more specialised designer boutiques.